The greatest asset a leader possesses is the ability to make good decisions. Providing a trained coach who is equipped and experienced to serve team members may be one of the best decisions a leader can make. Our trained Eagle Coaches will listen, learn about your employee, team and your organization. They are skilled in asking the right questions resulting in immeasurable value to your company. Connecting with one of our leadership coaches significantly raises your organizations overall performance. Leadership coaching provides leaders within your company a valuable resource. It has been proven to be one of the most powerful tools in getting strong results while maintaining effective leadership results. 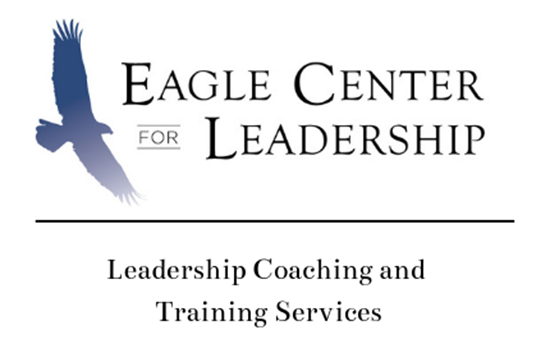 Eagle Center for Leadership also provides effective leadership training and seminars that are customized to meet your needs. Our facilitators will develop training that is targeted to meet the precise needs of your organization. Our cornerstone Make a Difference seminar provides an interactive, fast-paced experience geared toward increasing leadership skills professionally and personally. It contains practical yet powerful insight that can be applied in diverse environments and situations. This content has been tried and tested globally with incredible results. Those who attend the Make a Difference seminar will learn how to leverage EQ research and IQ strategy. They will gain the tools to create strong and effective communication and collaboration within teams. They confront the common myths that drive daily decisions and offer simple and powerful tools to debunk those myths. This profound content is presented in an engaging and interactive way, resulting in easily actionable learning and tangible take-away skills for participants. This seminar has proven to be relevant and practical for a wide range of leaders and teams, from those who are highly technical to those who work in people-oriented work settings.